Drierite serves as a moisture trap for the air going into the charcoal trap of the Pulmonex® Xenon System. 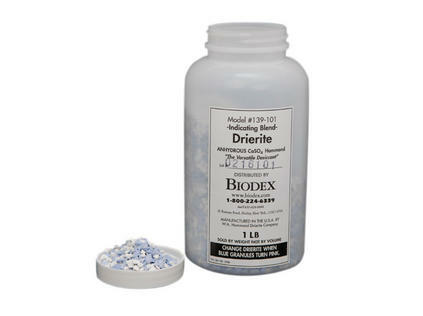 Drie­rite is blue and white when dry and turns pink when it has absorbed maximum moisture. Available in two convenient sizes, Drie­rite is packaged in an air-tight container with a wide-access mouth.